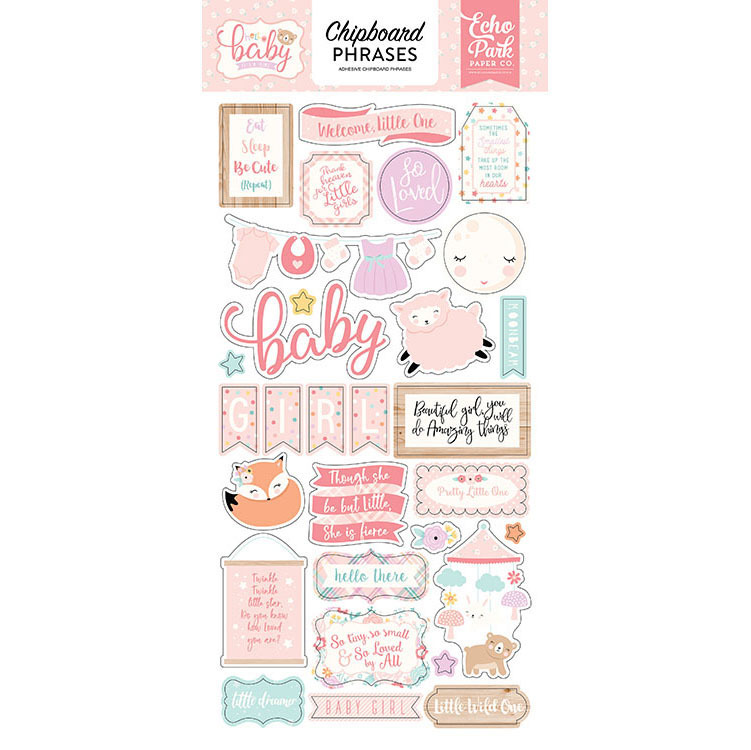 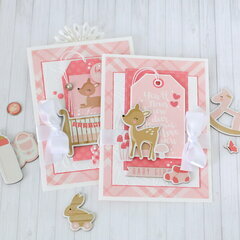 Let the Phrases Chipboard Stickers from the Hello Baby Girl Collection do the talking on your next page or card! 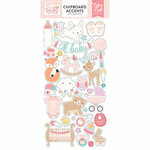 The package includes 30 chipboard stickers that are made in the USA. 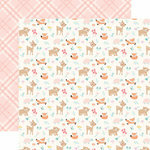 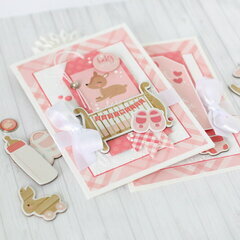 The set features images including animals, a sleeping moon, mobile and expressions such as "welcome little one," "so loved" and more. 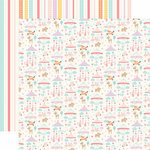 The stickers are by Echo Park.